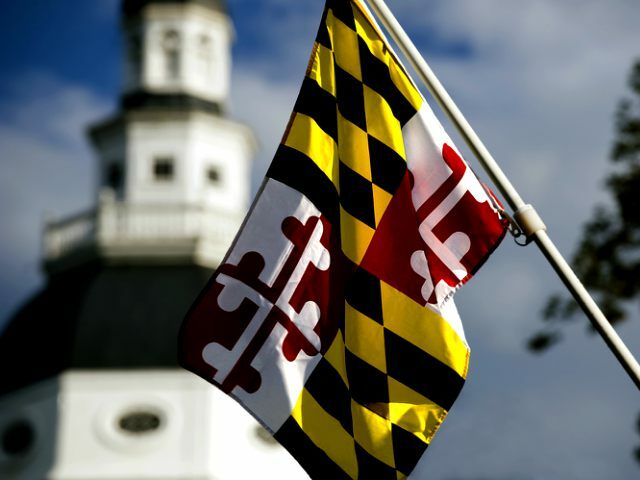 The American state of Maryland recently overhauled their online forms and transaction service to speed up the process of starting a business in Maryland with a “One Stop Shop.” But to what extent does the marketing hype match reality? By bringing services together business owners can create new business entities and trading names while setting up state tax accounts and more. The marketing message is clear: Maryland Business Express reduces the time to start a business from one month to a single day. But what happens when that's the only thing in the One-Stop Shop? Can it really be marketed as a "One-Stop Shop"? Generally speaking Maryland has done a great job of making it easier for businesses to get started. Many of the core elements a Maryland business needs to do can can be done in that time. But like the City of Los Angeles it’s only the core services that can be done at once, with more industry specific permits requiring business owners to follow the old paper route. This does free up some time for business owners and gives them some surety for their enterprise. But it still leaves business owners in limbo land on many aspects. Businesses don't operate in isolation to industries. Their very nature means they operate in one or more market verticals. In each of these markets there will be corresponding licenses and regulation that a business will need to comply with. But none of these are available from Maryland Business Express. Don’t get me wrong, I still firmly believe that Maryland’s approach of getting a good initial offering up and running and then iteratively expanding and improving it over time is the right way of doing things. But the marketing message needs to be moderated and not be so full of hyperbole. Maryland seems to have the inverse problem that we discussed recently about the City of Los Angeles. LA did a great job bringing the information together to help business intenders educate themselves and have everything they needed at hand. But LA failed on the transactional customer journey of physically starting the business. Maryland seems to have got the transactional component off to a good start but everything outside this is sorely missing. The Maryland Business Express site has a scatter gun of various links for business, none of which stands out as the single point - or One-Stop Shop - that you need to know and learn from. The government portal at Maryland.gov isn’t much better with a laundry list of 30 online services and a prominent link for “Starting a business”. But unfortunately this takes you back to Maryland Business Express and unless you physically want to fill in electronic paperwork you’re back to square one. No information about the realities of starting a business or what you need to start and grow. An initial core informational offering should be at the foundation of both sites and is a glaring omission that no doubt Maryland businesses immediately notice. Compounding the problem is a Google search for how to start a business in Maryland fails to find Maryland Business Express. Instead the customer faces an assortment of links from all over the private sector, two government departments and a university. So it’s not just customers who can’t find everything they need. Its Google too. And without a content rich trustworthy brand that puts search engine optimization at the fore, Google will continue to ignore Maryland Business Express. Which only makes it even harder for Maryland businesses to find what they need. Unfortunately this further dilutes the proposition behind Maryland Business Express and delays the benefits realization and return on investment for government. Another key concern area of concern for Maryland that could be easily fixed is their approach to achieving the one-day turn around for businesses. For starters their website actually says electronic filings will be processed “within 3 business days.” Dig a little deeper into the terms and conditions and it actually says requests will be responded to within seven working days. But let’s put that aside for a moment. To achieve this a business owner is automatically opted into an “expedited” fee arrangement. So for every transaction you need to legally complete to start a business an extra $50 is charged every time. Of course a business owner can choose for the slower postal based system at $5 per transaction but they have to wait 4-6 weeks. I can’t imagine any business going for the snail mail solution, but it seems like excessive revenue raising by the State of Maryland. The nature of effective online service delivery will naturally result in channel shift. That drives down the costs to government for delivering the service. By realising these efficiencies governments can afford to invest in solutions that deliver further benefits. But after reading the details behind how Maryland’s arrangements work, it seems the state government locked themselves into what must be an expensive ongoing arrangement with a third party provider. That’s a missed opportunity for Maryland as it risks business owners viewing the state government as greedy when they could have been viewed easily as being pro-business and pro-jobs.